Acting: Plays 'Junk'. Wellington Fringe Festival 2003, Role: David Chee, 'Junk' is a play about the first female undercover police officer in New Zealand. 'Bumnote' Bats Theatre 1998,Role:Lou the guitarist. 'Bumnote is a play about a group of high school Students who a getting a band together to play the school Prom..Andy was the lead. Andy has done many theatre workshops including performing for screen, movement, stunts/combat voice and character. 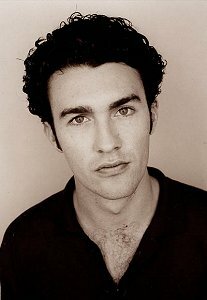 Auditions for LOTR: Andy did his first audition with Bret Mckenzie (Figwit) and auditioned for the role of Haldir. "We were given an orc-like sword and directed to move in a balletic Elvish fashion"
Thanks SO much to Andy for all the info!!! :-) I have more info to be added soon.